VGA cooler compatible for both NVIDIA and ATI high-end VGA cards. 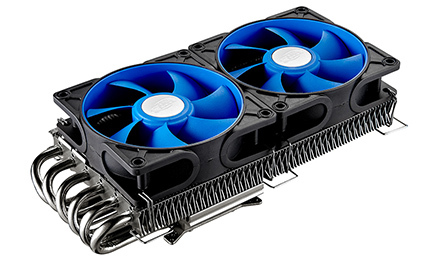 6 heatpipes for efficient heat transfer from the base to the heatsink. Dual 92-mm fans with TPE coated fan casing to achieve maximum absorption of vibration and noise.